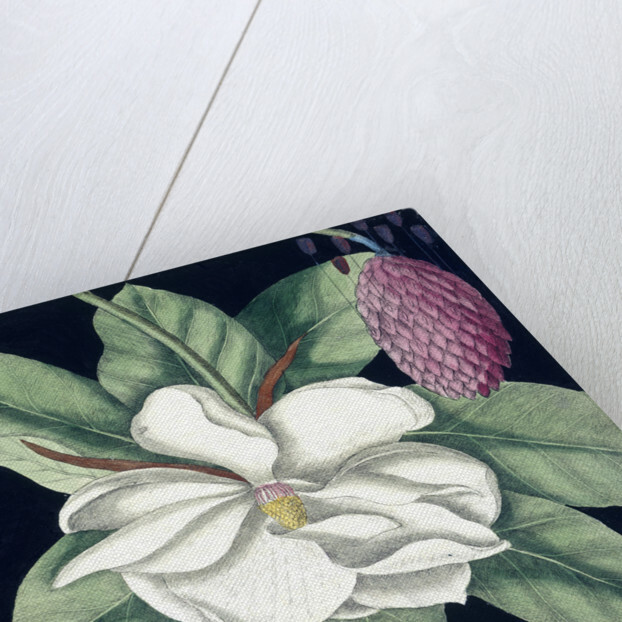 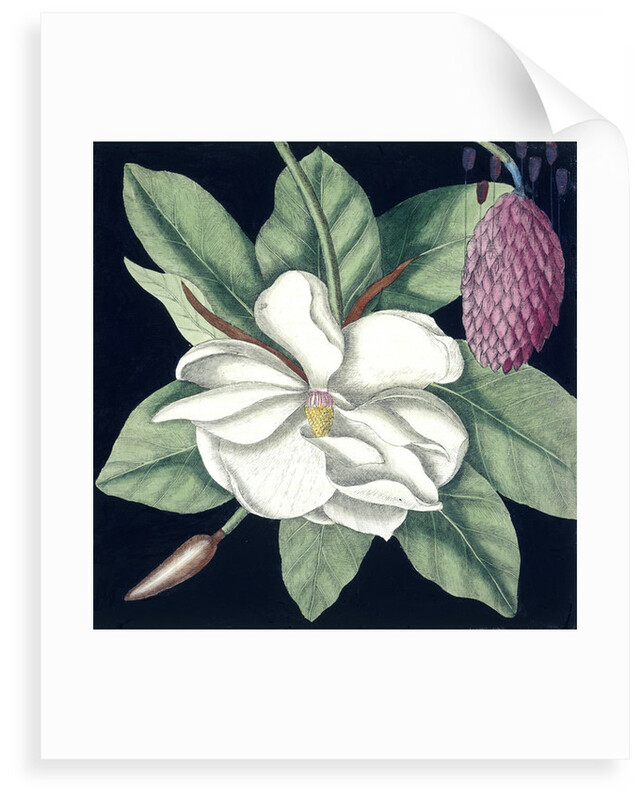 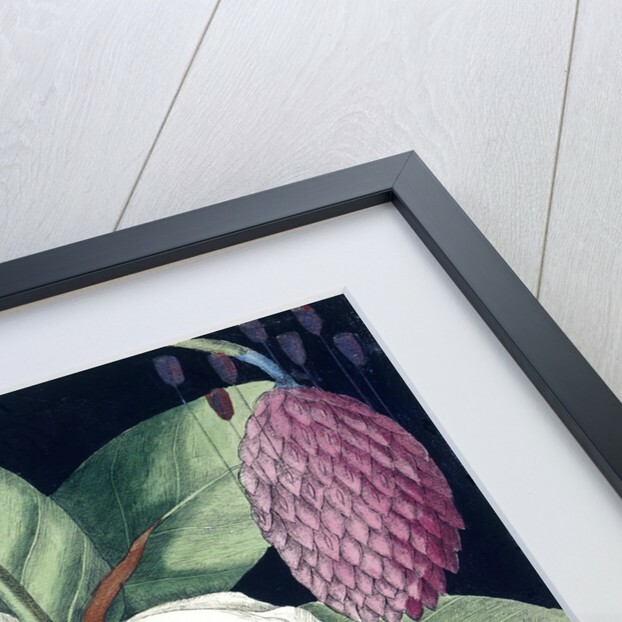 This beuatiful illustration of a magnolia, with purple bud and leaves, was created by artist Mark Catesby for Hortus Europae Americanus: or, a Collection of 85 curious trees and shrubs, the produce of North America. 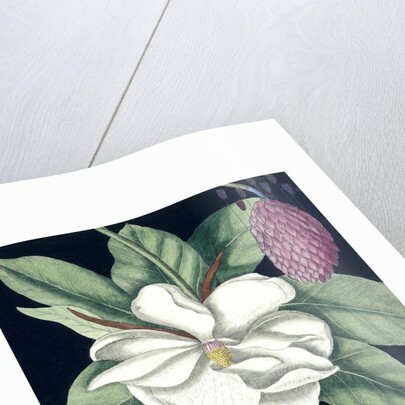 This image was originally published in J. Millon, London, 1767, and is now made available as a fine art print. 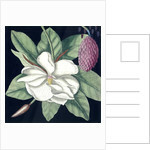 452.f.14, opposite 1.